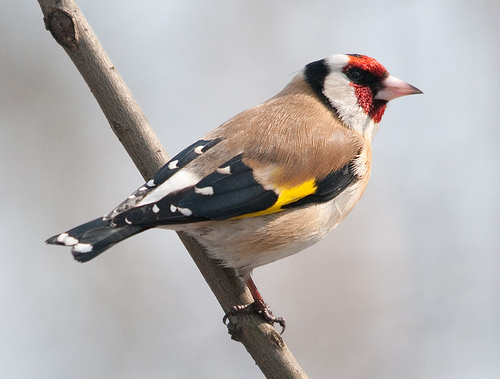 The Goldfinch has its name by right. It's a beautiful, almost tropical bird for western Europe. 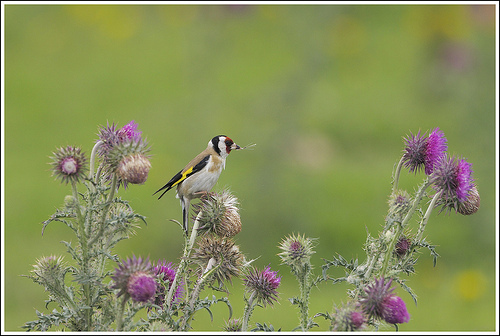 It gets its food from large thistles, where it picks away the seeds.